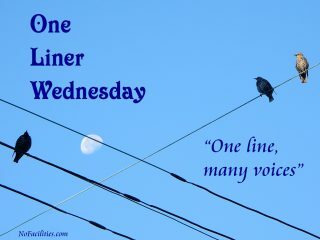 This post is part of Linda G. Hill’s fun weekly series One-Liner Wednesday. If you have a one-liner, I’d encourage you to join in on the fun. 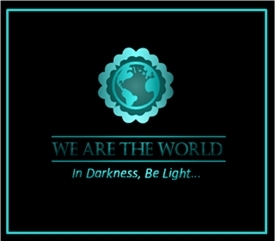 You can follow this link participate and to see the one-liners from the other participants. They tapped on the door? Wow! Wonderful creatures. You must be their best neighbor. When I used to feed my squirrels, the blue jays were relentless. If I withheld the nuts, they squawked till they drove me nuts! But I did notice that sometimes the jays would land not far away and pull a leaf over the nut to hide it – I’d go over and retrieve the nut. :) I often wondered if they ever came back to locate those morsels of dinner. That’s funny. They probably have your photo in their Post Office. The Blue Jays are so smart. If the squirrels get the nut and bury it, the jays will fly down and dig it up. haha, your jays are smarter than mine. Now excuse me while i go hunt down that post office!! Aw, how cute. I love this one-liner and these pictures! Thanks. The Blue Jays are pretty fast, but the squirrels know that there are more nuts. This made me LOL because I now have this picture in my head of two squirrels sitting up on their hauches as you open the door, begging you with their little squirrel eyes. That is too funny and you and the Editor are wonderful animal lovers. I’m glad you enjoyed this. The squirrel we call Sammy is such a little beggar. He knows we are soft touches and he plays to that. He sits up and does that little beggy thing with his front feet. The other day, I commented (as I got a look at his belly) that he didn’t exactly look like he was starving. Ha! Pretty soon you’ll have to re-name Sammy with something like Lil Pork Chop. These guys have us figured out. Running away with your mouth full, huh? The second guy got another nut, but he was pretty ticked. You bet he is the elder of the two. Brave squirrels! Once you name the animals, they’ll be part of the family forever. Love the blue jay photo! Thanks Jennie – Yeah, Sammy is the one who knocks on the door. He’s so cute, it always pays off for him. Ha!!!! I laughed out loud at the ending. Wednesday’s child is not so full of woe with you around, Dan. Squirrels are smart (not to mentioned extremely determined) little guys. Hugs! Thanks Teagan. They are clever and cute – quite the package deal. Ha ha! Your squirrels are ingenious just knocking on the door like they are canvassing for donations to be paid in nuts. I have obese squirrels in my garden because the birds we feed toss so much food around that the squirrels don’t need to do much foraging. Still, they haven’t figured out how to knock on doors. Yet. They are studying you and are gathering material for their PhD funding application. 👏🏻Awesome Dan! Haha! Those crafty Jays can be so mean. I love that they came up to the porch to get their own. Lol. Great moments to capture. Bravo! Happy Wednesday. Thanks Cheryl. I guess you have to make new friends in your new place. These guys really seem to be part of the extended family now. ‘or perhaps we are nuts’–the perfect one-liner. I can just picture them knocking on your door, looking at one another and saying, “I hear him coming to the door.” What a riot! You and these squirrels are too funny, Dan. Thanks Lois. My wife had told me about Sammy knocking, but this was the first time I experienced it. They just looked so cute, and having just seen the Blue Jays take their peanuts, I caved immediately. It’s a good thing they aren’t selling vinyl siding. Awww… clever squirrels. :) I’ve watched many a battle for peanuts between squirrels and jays. The birds always win. The Blue Jays really do have the advantage. Their vision seems incredibly good. I got to say, those east coast squirrels are down right polite. Here in the midwest, if you don’t pay tribute, you get your yard trashed. Can’t decide whether to best describe this piece as being “squirrely” or “for the birds.” Either way, I am just nuts about it! Ha! You’re right Steve, both titles would work. These squirrels are too cute for words but they are playing you and your wife like an old violin! I can’t believe the great shots you got, especially of the blue jays. They are mean birds. Thank goodness those adorable squirrels know you will appear with more nuts for them and they don’t feel compelled to fight it out to the finish with the blue jays. I think your next DIY project should be installing a bell just above the deck floor so they can reach it. Their poor little knuckles! Wait…do squirrels have knuckles? If you and your wife are nuts, then this world needs more nuts like you!! This is one funny post. Thanks! When our daughter was little, I made a squirrel feeder. It required them to go up a little ladder and push open a wire mesh door. The squirrels figured it out, but the Blue Jays couldn’t. Except, the squirrels would take some nuts and bury them and the jays would watch, swoop down and dig them up. We do understand that they are playing us. We don’t mind, until they have all their friends over. Sometimes it seems they like to entertain. LOL! Great story! Poor squirrels. Blue Jays can be pesky. I’m so glad Sammy comes to tap on the door to get some peanuts. Blue Jays are tough birds. Sammy is using his head. That’s a happy tale :) Thanks for sharing that one with us. was it the squirrel tapping on the door?? Yes. Sammy will tap on the glass when he doesn’t get noticed right away. My wife had told me that but I had never experienced it. He backs away as soon as you open the door. Thanks Marian. These guys are so cute. How funny is that…I could picture all of it, especially the knocking on the door!! Love it! We can look down and see him from inside but we haven’t been able to get a picture. It is cute. Excellent, Dan. Those bluejays take from the squirrels. The squirrels rob the bird feeders and so it goes, Thanks for the smile. It is a circle of theft. Ha ha ha. So true. You could install a little Sammy-height doorbell, just in case you don’t hear his gentle tapping. Who knows, Amy. But with all the cats you care for, I think you understand. That happened to the squirrels we fed in Michigan. We ended up spending as much time scaring the blue jays away as we did feeding the squirrels. We did finally solve the problem but I think I’ll keep that story for a future post. I look forward to that post. We usually toss these nuts directly to the squirrels. If we don’t aim well, the Blue Jays appear from out of nowhere. I’m so glad. Thank you for dropping by. People don’t expect squirrels to knock but I believe this! So happy about your little, persistent visitors. I loved the blue blurry photo of the blue jay swooping down! These guys are entertaining, to be sure. Watching the birds around the neighborhood is always fun. They are persistent.